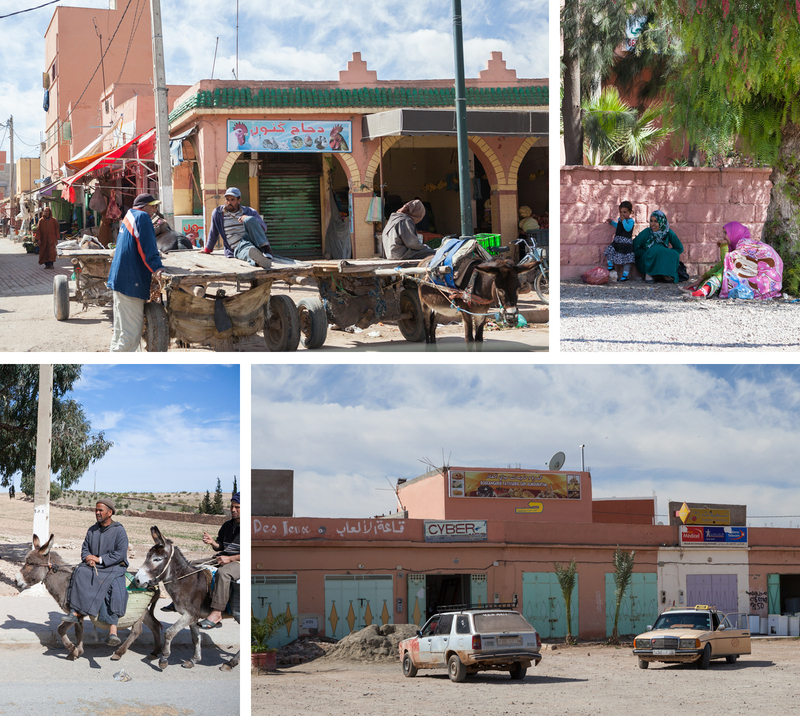 Time to get back to sharing my Morocco trip pics! 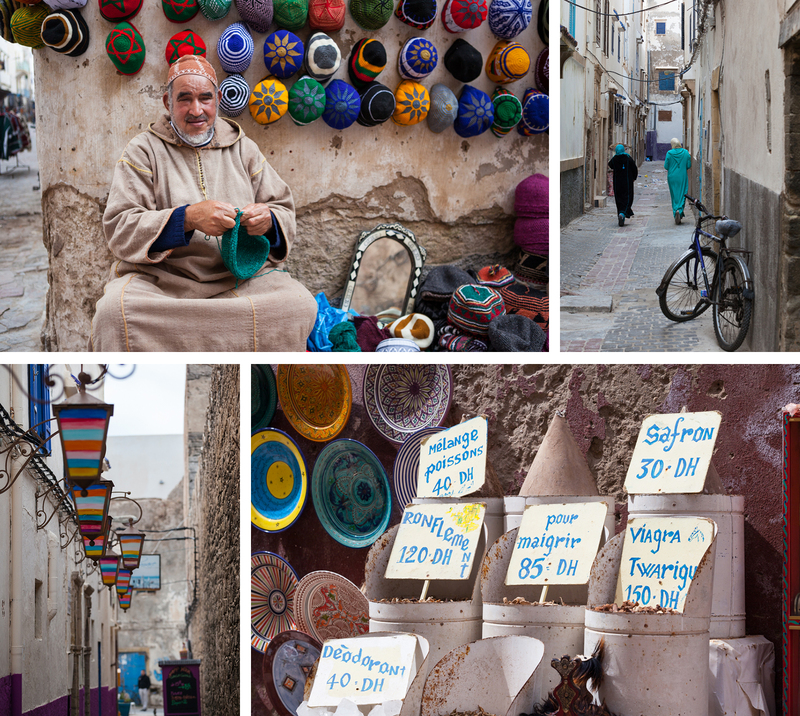 Part 2 Essaouira and the journey from Marrakech. 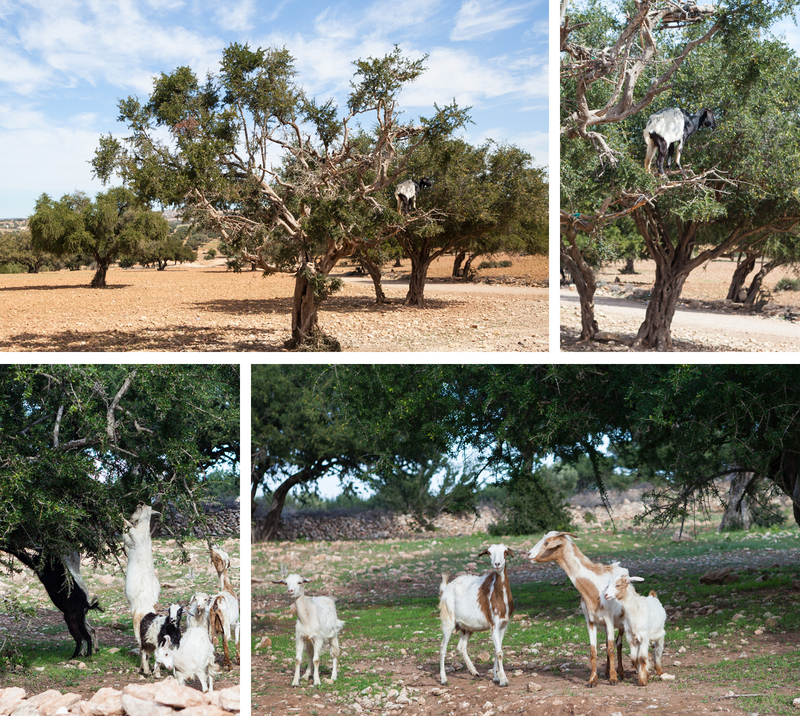 Fascinating to see life outside the city on the journey, part motorway part highway, passing through expanses of desert and small towns with lots of classic French cars, and then nearing the coast the greener landscape of the argan and olive groves. We chose to hire a driver, which I would highly recommend. We learnt so much about the country and the places we were seeing. 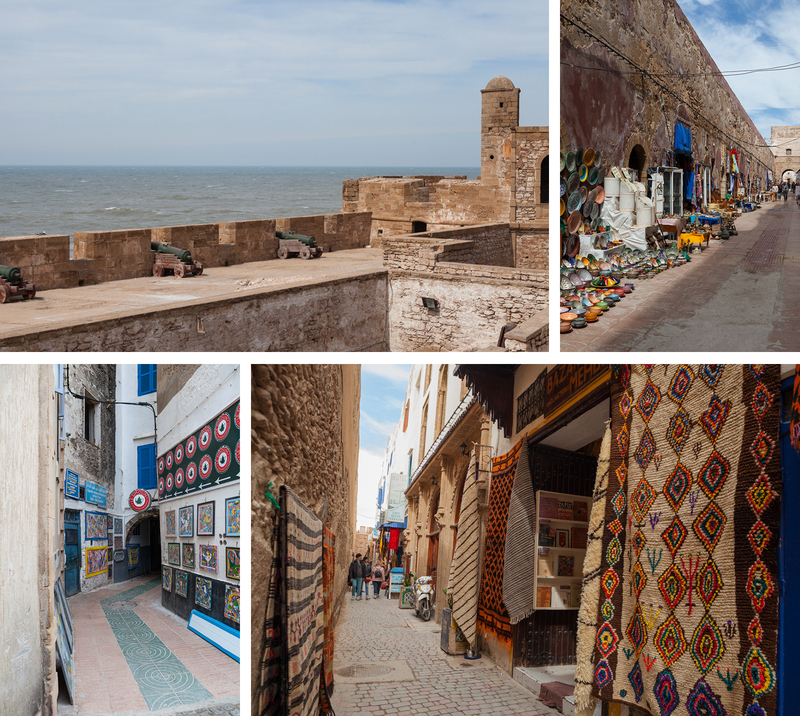 After the hustle and bustle in the close maze of busy streets of the Old Medina in Marrakech, Essaouira is a stark contrast. The fortified Medina is not nearly as old as that of Marrakech and has a distinctly European feel (it’s based on a similar design to St Malo). The extra space, the fresh sea breeze and white painted buildings makes it feel quite calm. 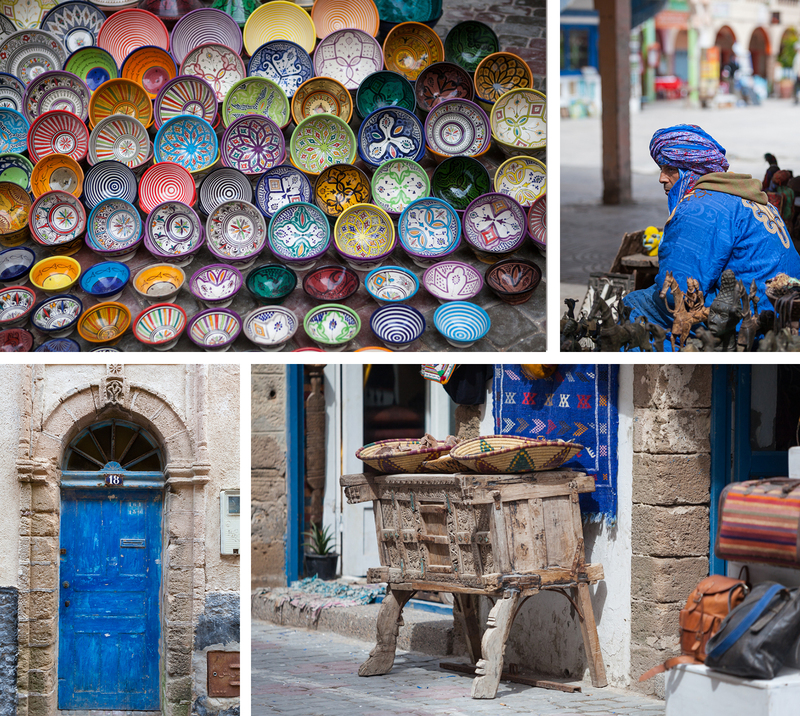 So many wonderful, colourful small artisan shops and cafes. There is a definite seaside holiday vibe. The eye-catching, iconic blue boats packed tightly into the harbour give the fishing port a picture postcard look. I could have happily spent an entire day taking photos around the harbour. 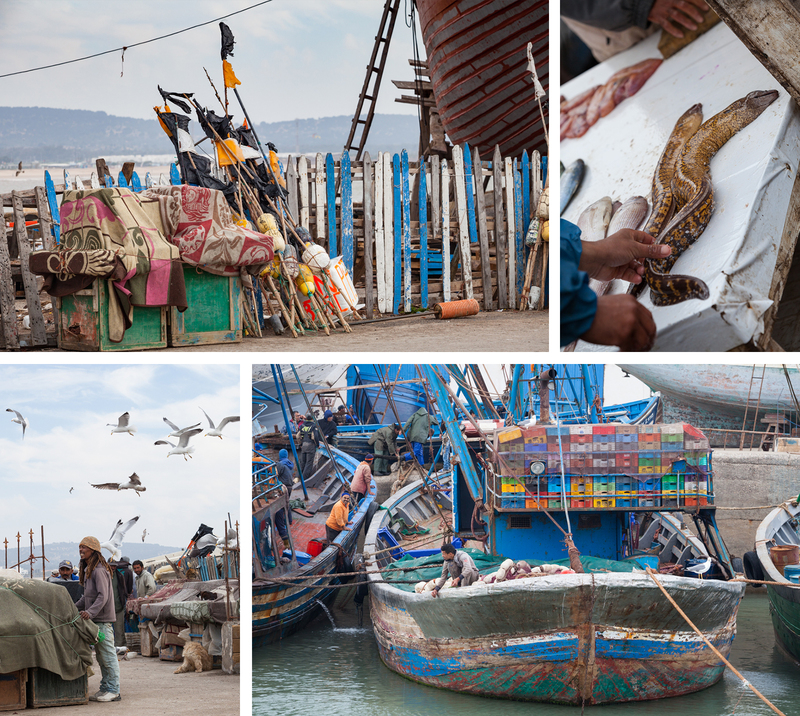 Huge sardine boats alongside new ships under construction and the fishermen selling their exotic looking catches. The fishing port is a great place to explore. Final stop of the day, the beach. You could almost feel you were on any beach in Europe. 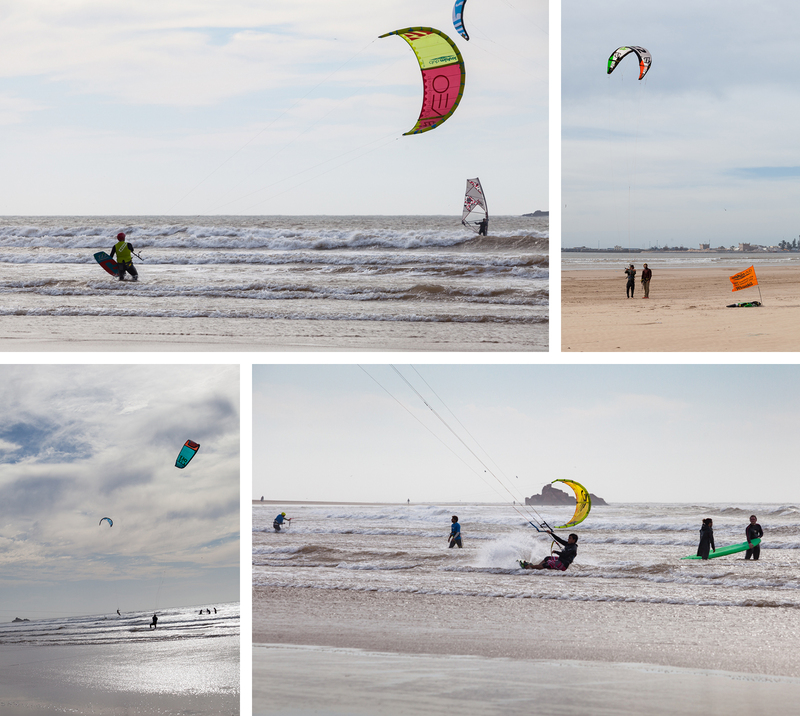 Strong winds make it a popular destination for kite surfers and windsurfers. But there are camels too! 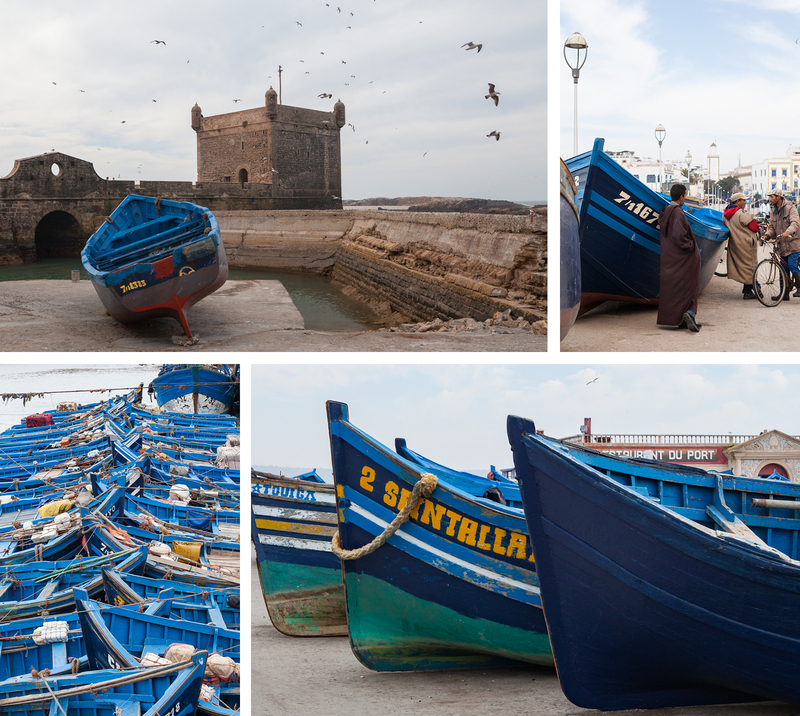 It’s not difficult to see why Essaouira is becoming an increasingly popular holiday destination.